Με απόλυτα επιθετική σχεδίαση, ιταλική γραμμή και σύγχρονο υγρόψυκτο κινητήρα EFI, αποτελεί ένα scooter υψηλών επιδόσεων για την πόλη και τις τουριστικές σας δραστηριότητες. 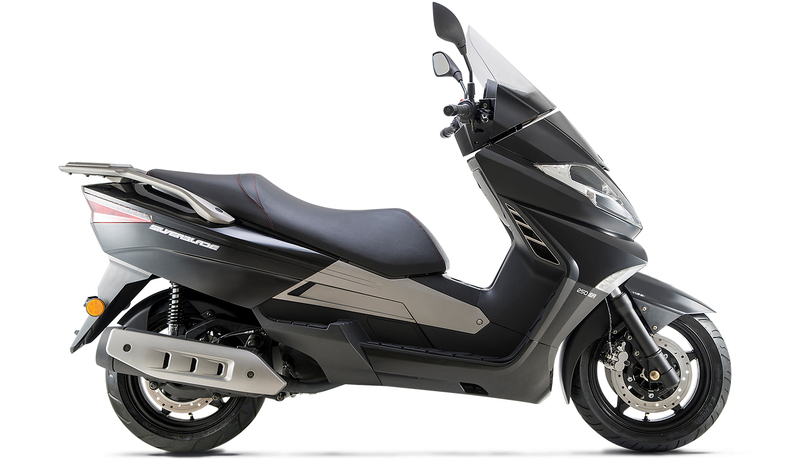 The Silverblade’s 249cc single-cylinder four-stroke liquid-cooled engine makes 21 horsepower and delivers it quietly and smoothly through a no-shift CV transmission. Just turn the throttle and go! A compliant telescopic fork up front and a dual-shock system in back provide an ultra plush ride – the perfect thing for running back and forth to work, or on a weekend trek in the country.